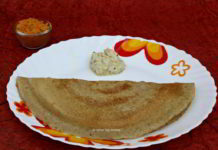 Dosa is the special breakfast dish of South India. 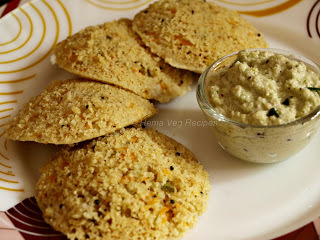 Though I prepare Dosa twice a week I could not update my recipe bank with this yummy filling dish. 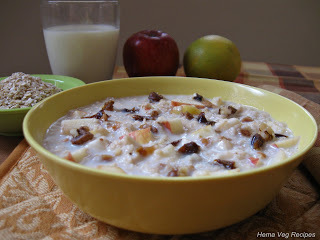 One of my blog visitors requested to post Breakfast recipes and chutney recipe and also daily based food. As I did not have proper tawa or skillet or griddle to prepare a perfect Dosa, I had my father send an Iron skillet from Hubli which I am using now. The taste of the Dosa prepared in this tawa differs from that of non-stick tawa. Since we need to sprinkle water and spread oil while preparing each dosa, this process hinders the coating of the non-stick tawa. Thereby we end up pouring a lot of oil on the Dosa which will either stick to the plate and go waste or add on our weight. So the Ideal utensil to make Dosa is the iron tawa. Earlier ladies would grind and prepare Dosa batter manually in small stone blocks with a round pit in it called the “Worallu kallu” in Kannada. This work would give their hands lots of strength. Now everyone seems to use either the stone grinder or the mixer grinder. I always prefer to use Dosa Rice available in the stores which is bit thicker than the normal rice, as it gives more taste to it. 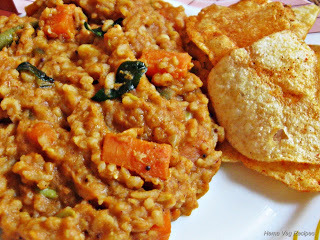 My experiments with Sona Masoori or other rice did not give me tasty Dosa. About Urad Dal or White Lentils I use split Urad Dal not the whole ones. 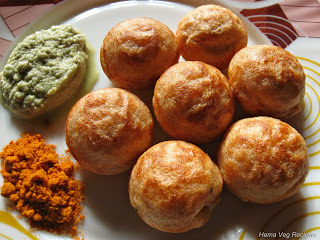 Here, I have explained how to prepare Dosa batter in two methods. We usually follow the first method at home. There is a lot of difference in these two methods. If you are in a hurry you can opt for the first method. My mother used to prepare using the second method, in which Dosa batter ferments more and also its volume increased.This method gives much tastier Dosa than the first method, in my opinion. 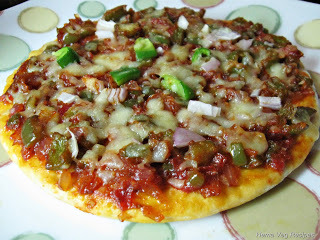 For more information on Dosa one can visit Veggie Belly Website. She explained clearly on how to prepare Dosa Batter and also ferment in colder places. Dosa can be served with Chutney, Sambar or with Chutney Powder. Mix Rice, Urad Dal and Methi Seeds in a vessel and wash them thrice with water and soak with fresh water for 4-5 hrs. Wash Thin Poha and keep aside. Grind the soaked ingredients in a mixer or in a wet grinder for 8-10 minutes. 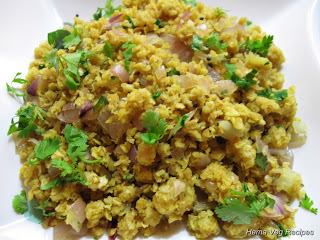 Then add the washed Thin Poha or Beaten Rice, Salt and sufficient Water and grind until it turns to a smooth batter. I use wet grinder to grind for Dosa or Idly. While using wet grinder for grinding Dosa, grind at least for 25-30 minutes, as Methi Seeds takes more time to grind in wet grinder. If you grind in wet grinder the Dosa turns very tastier than grinding in a mixer grinder. Mix Rice and Methi Seeds in a large vessel. Wash and soak them. Same way wash and soak Urad Dal in another vessel separately by adding sufficient water. The water level in both the vessels should be 2-3 inches above the grains. Soak them at least for 5-6 hrs. Take the Urad Dal soaked separately from step 1, and grind it first until it turns to smooth batter by adding sufficient soaked water to it. Transfer the Urad Dal Batter from the grinder completely to a vessel and then add the soaked rice, Methi seeds, washed Poha, Salt and sufficient water to the grinder and grind until it turns to a smooth batter. If you add more soaked water at once, the batter turns too thin and Dosa does not turn good. So check in between the grinding process. 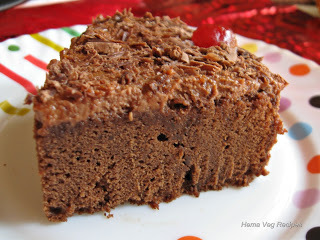 If you find the batter is too thick then add water and grind. Remove the rice batter to the same vessel containing the Urad Dal batter and using your hand mix well the batter. Transfer the Dosa Batter to a medium sized vessel, close the lid and keep for fermentation at least for 8 hrs or over night before you start to prepare Dosa. Note: This method of grinding has 3 benefits i.e., increase in volume of the batter while fermenting, tastier Dosa and fluffy, reddish brown Dosa. Salt : Duration for soaking is minimum 4 hrs and in very cold regions 5 hrs. As well, duration for fermenting is min 8 hrs and 12 hrs in very cold regions. For people who cannot manage this time, little modifications can be done though the resulting Dosa taste will vary. 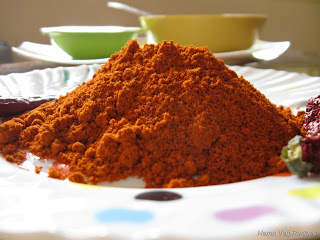 In the process where soaking and fermenting is done in short period, one needs to add salt while grinding as the salt aids in early fermentation. Again this batter cannot be stored for more than 24 hrs as the batter starts to leave water. So take a note if you want to store the batter for longer period the salt should be added only just before preparing the Dosa. Heat the Dosa tawa or griddle. I use Iron tawa or skillet. 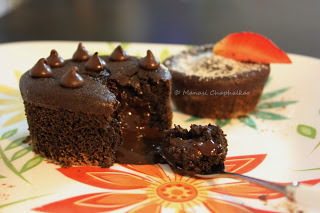 Sprinkle some water on a heated tawa, the water should sizzle and evaporate. This is to know that the tawa is ready to prepare Dosa. 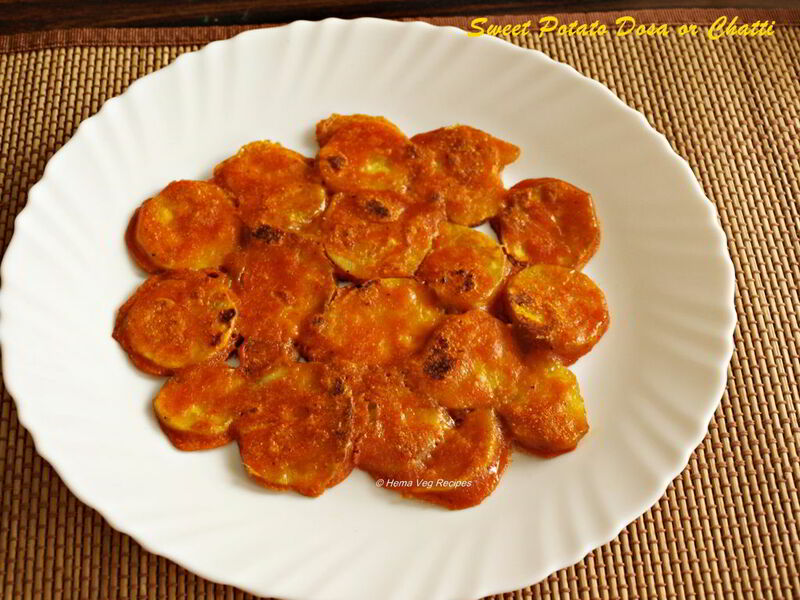 Pour 1/4 tsp of Oil on the centre of the tawa and rub it in circular motion with the help of half diced Onion piece. The flame should be low. Pour a ladle of Dosa Batter on the centre of the tawa and spread the batter into a circle shape with the help of ladle. Now increase the flame to medium and pour 1 tsp of Oil on all over the Dosa and close the lid. Let it cook properly for say about 30 seconds and the remove the lid. 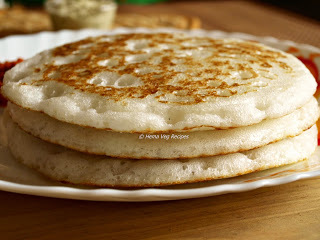 Once the edges turns the color to golden brown; lift the dosa slowly along the edges using the flat spatula (mogache kai in kannada), flip it to the other side and cook for a minute. If the Dosa color is turning to dark brown or black reduce the flame. 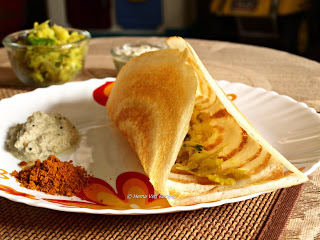 Remove the Dosa from tawa by folding one side and serve Dosa with Chutney. Repeat the process for the other Dosa. Always wash the grain properly in water thrice and soak them in a fresh water. While grinding the lentils or rice always use the soaked water, it helps in fermenting and use your hand while grinding or removing the batter from grinder instead of using spoon or laddle. 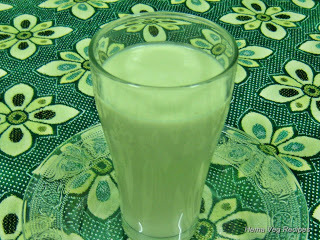 This also helps in fermenting especially in winter season. I always use Dosa Rice which is thicker than the normal Sona Masoori or other rice. This gives good taste to the Dosa. 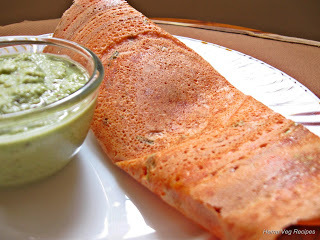 Using Methi Seeds in Dosa gives more taste, stickiness and also gives color to the Dosa. Add a tsp of Oil and Sugar to the Dosa Batter, this also helps the Dosa to turn golden brown in color. Always use Iron skillet or tawa for Dosa to give more taste. Better to use Wet Grinder for grinding Dosa or Idli as it gives more taste than grinding in a mixer. 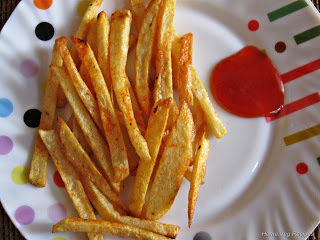 For storage of batter in refrigerator keep unsalted batter in fridge section. While preparing Dosa, mix Salt after it comes to room temperature. If you have any salted batter remaining keep it in fridge and use it within one day, as the batter starts to leaves the water. Bring the refrigerated batter to a room temperature before preparing the Dosa. Else the refrigerated batter turns Dosa white, dry and brittle. Always rub the Tawa at least for the first Dosa, this helps removing the it from the Tawa. The Heat of the tawa will vary from low to medium flame.